Just fill out the form to get your free sample* of Rachael Ray Nutrish just 6® super premium food for dogs. Rachael Ray Nutrish® just 6® contains lamb meal, which is the number one ingredient, followed by five other wholesome ingredients. 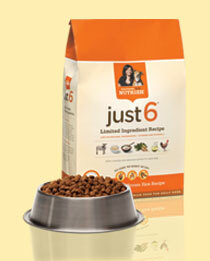 Of course, just 6® has all the added vitamins and minerals your dog needs to keep him healthy and happy. Keep in mind, this has been loading very slowly!